For other uses, see Dodge (disambiguation). Dodge is an American brand of cars, minivans, and sport utility vehicles manufactured by FCA US LLC (formerly known as Chrysler Group LLC), based in Auburn Hills, Michigan. Dodge vehicles currently include the lower-priced badge variants of Chrysler-badged vehicles as well as performance cars, though for much of its existence Dodge was Chrysler's mid-priced brand above Plymouth. 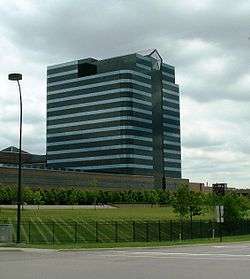 Founded as the Dodge Brothers Company machine shop by brothers Horace Elgin Dodge and John Francis Dodge in late 1900, Dodge was originally a supplier of parts and assemblies for Detroit-based automakers and began building complete automobiles under the "Dodge Brothers" brand in 1914, predating the founding of Chrysler Corporation. The factory was located in Hamtramck, Michigan and was called the Dodge Main factory from 1910 until 1979. The Dodge brothers both died of complications due to influenza in 1920 and the company was sold to Dillon, Read & Co. in 1925 before being sold to Chrysler in 1928. Dodge vehicles mainly consisted of trucks and full-sized passenger cars through the 1970s, though it did make some inroads into the compact car market during this time. By 1914, John and Horace had created the new four-cylinder Dodge Model 30. Marketed as a slightly more upscale competitor to the ubiquitous Ford Model T, it pioneered or made standard many features later taken for granted: all-steel body construction (the vast majority of cars worldwide still used wood-framing under steel panels, though Stoneleigh and BSA used steel bodies as early as 1911); 12-volt electrical system (6-volt systems would remain the norm until the 1950s); 35 horsepower (versus the Model T's 20), and sliding-gear transmission (the best-selling Model T would retain an antiquated planetary design until its demise in 1927). As a result of this, and the brothers' well-earned reputation for the highest quality truck, transmission and motor parts they made for other successful vehicles, Dodge Brothers cars were ranked at second place for U.S. sales as early as 1916. That same year, Henry Ford decided to stop paying stock dividends to finance the construction of his new River Rouge complex. This led the Dodges to file suit to protect their annual stock earnings of approximately one million dollars, leading Ford to buy out his shareholders; the Dodges were paid some 25 million USD. As the Dodge brothers decided to produce their own vehicle, John Dodge was once quoted as saying, “Someday, people who own a Ford are going to want an automobile”, and introduced their first car in 1914. Continuing financial problems meant that even Dodge's light-duty models – renamed as the Ram Pickup line for 1981 – were carried over with the most minimal of updates until 1993. Two things helped to revitalize Dodge's fortunes during this time. First was their introduction of Cummins' powerful and reliable B Series turbo-diesel engine as an option for 1989. This innovation raised Dodge's profile among serious truck buyers who needed power for towing or large loads. A mid-size Dakota pickup, which later offered a class-exclusive V8 engine, was also an attractive draw. Dodge came to Argentina in the early 20th century with imported cars and trucks. In 1960, it partnered with Fevre-Basset as a local manufacturer. 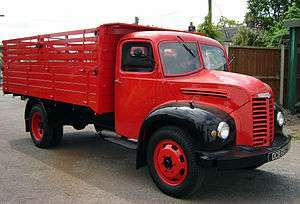 The first vehicle made in Argentina was the D-100 "Sweptilte" pickup. Between 1961 and 1980, a variety of trucks were produced, including the D-400/DP-400 D-500/DP-500 DP600, DD900 and DD1000 (the last two with one curiosity: the air-cooled Deutz engine rather Perkins or Chrysler). Passenger cars were also produced, namely the Valiant I and II, and the local versions of the 1966 Dodge Dart (called Valiant III and IV). In 1971, the Dodge 1500, a rebadged Hillman Avenger from the United Kingdom was introduced. In 1982, production of Dodge vehicles ceased when Volkswagen bought the Fevre plant and the shares. In 1993, Dodge began marketing cars and pick-ups directly in Argentina. Currently, both the Journey and the Ram are available to Argentinian customers. In Mexico, the Hyundai Accent, Hyundai Atos, and Hyundai H100 were branded as "Dodge", Dodge Attitude, "Verna by Dodge", "Atos by Dodge" and "Dodge H100" respectively, and sold at Chrysler/Dodge dealers. Current models are marketed with Hyundai logos instead of the "Ram" logo on previous model years. Dodge and Hyundai ended the venture and Dodge will use rebadged and reworked Fiats. Also, the Mitsubishi Mirage is sold as the Dodge Attitude since 2015. Ram's head: Dodge reintroduced the ram's head hood ornament on the new 1973 Dodge Bighorn heavy duty tractor units. Gradually the ram's head began appearing on the pickup trucks as Dodge began to refer to their trucks as Ram. The present iteration of the Ram's-head logo appeared in 1993, standardizing on that logo in 1996 for all vehicles except the Viper, which uses the Viper's Head. ↑ "Sergio Marchionne, Chairman and Chief Executive Offi7+cer, Chrysler Group LLC Chief Executive Officer, Fi?axc! "%:&/t S.p.A.". media.chrysler.com. February 18, 2014. Retrieved August 17, 2014. ↑ "Timothy Kuniskis, President and Chief Executive Officer - Dodge Brand, SRT Brand and Head of Fleet Operations, Chrysler Group LLC". media.chrysler.com. May 19, 2014. Retrieved August 17, 2014. ↑ Hyde, Charles K. (2005). The Dodge Brothers: The Men, the Motor Cars, and the Legacy. Wayne State University Press. p. 29. ISBN 9780814332467. Retrieved 15 March 2016. ↑ Wise, David Burgess (1977). "Dodge". In Northey, Tom. The World of Automobiles: An Illustrated Encyclopedia of the Motor Car. 5. Purnell Reference Books. p. 552. ISBN 978-0-8393-6009-4. ↑ "1920 Dodge Brothers Brochure". Oldcarbrochures.com. Retrieved August 17, 2014. ↑ Jowett, Philip; de Quesada, Alejandro. The Mexican Revolution 1910–20. Osprey. p. 25. ISBN 978-1-84176-989-9. ↑ "John P. Dodge Dies At Ritz-Carlton. 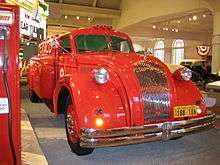 Detroit Manufacturer Was Stricken With Pneumonia At Automobile Show. His Brother Recovering As Minority Stockholders Of Ford Company. They Won $60,000,000 Suit Against Henry Ford". New York Times. January 15, 1920. Retrieved August 17, 2014. 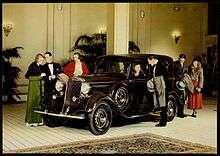 John F. Dodge, the Detroit automobile manufacturer, who had been ill for a week with pneumonia in his apartments at the Ritz-Carlton, failed to survive the crisis of the attack and died last night at half past 10 o'clock. For some time before the end he was unconscious and unable to recognize his wife and daughters who were at his side. ↑ "Horace E. Dodge Dies in Florida. Detroit Automobile Manufacturer Succumbs Suddenly at Beach Home. Brother Died This Year. Sole Head of Industry Employing 18,000 Men Began His Career as Machinist With John F. Dodge". New York Times. December 11, 1920. Retrieved August 17, 2014. Horace E. Dodge, millionaire automobile manufacturer, died here tonight at his Winter home. ↑ "Dodge History". Conceptcarz.com. Retrieved August 17, 2014. ↑ "The Dodge Motor Company". Gear Heads. May 21, 2012. Retrieved August 17, 2014. ↑ "1940 Dodge Brochure". Oldcarbrochures.com. Retrieved August 17, 2014. ↑ Ebhardt, Tommaso; Clothier, Mark (May 9, 2014). "Marchionne Says London to Have Fiat Chrysler Headquarters". Bloomberg. Retrieved August 17, 2014. ↑ Hirsh, Jerry; Unredcoffler, David (May 6, 2014). "Fiat Chrysler unveils aggressive five-year plan". Los Angeles Times. Retrieved August 17, 2014. ↑ "Dodge Sweptline" (in Spanish). Coche Argentino. Retrieved August 17, 2014. ↑ Newton, Bruce. "Fiat Punto heading back to Australia". carpoint.com.au. Retrieved August 17, 2014. ↑ doctor colin. "1922 To 1983 a brief history of Dodge in the U.K.". Dodge50.co.uk. Retrieved August 17, 2014. ↑ "Dodge stops selling Nitro, Caliber in UK". Autoblog. May 19, 2010. Retrieved August 17, 2014. ↑ "Qué pasa si tienes un Chrysler o Dodge". Autofácil (Luike). July 11, 2011. Retrieved July 30, 2015. ↑ Auto Editors of Consumer Guide (August 23, 2007). "1962–1964 Dodge 880 article". Auto.howstuffworks.com. Retrieved August 17, 2014. ↑ Sealey, Mike. "Mike Sealey's history of Chrysler's logos". Allpar.com. Retrieved August 17, 2014. ↑ "New Dodge emblem revealed". VehiCast. Archived from the original on April 25, 2012. Retrieved August 17, 2014.